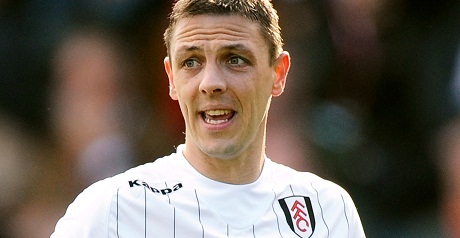 Chris Baird has snubbed QPR and agreed to sign for Reading. Boss Harry Redknapp discovered on Thursday that key defender Nedum Onuoha will be out for at least a couple of months with a hamstring injury. Redknapp therefore looked to finally complete the signing of former Fulham man Baird, who has been training with Rangers for the last six weeks. Instead the 31-year-old Northern Ireland international, a free agent since being released by Fulham during the summer, appears to have opted for a move to the Madejski Stadium. His decision is a blow for Rangers, who fully expected him to eventually sign despite Baird stalling over putting pen to paper. Onuoha’s injury, which was suffered during the midweek draw with Brighton, leaves Redknapp short of defensive options and he now intends to make a loan signing.